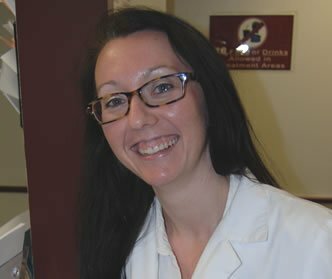 Dr. Kristina Karlic is a podiatrist at North Shore Podiatry in Floral Park and Great Neck, New York, as well as the New York College of Podiatric Medicine in New York, where she practices podiatric medicine. Prior to her work in private practice and at the College, Dr. Karlic served a three-year podiatric surgical residency at Long Island Jewish Hospital in New Hyde Park, where she trained in all aspects of podiatric care, as well as reconstructive surgery of the forefoot and rear foot, with extensive training in internal and external fixation. Dr. Karlic earned her bachelor’s degree in biometry and statistics with a concentration in pre-medical studies from Cornell University, College of Agriculture and Life Science in Ithaca, New York. She went on to attend New York College of Podiatric Medicine, where she earned her doctor of podiatric medicine and graduated ranked four out of 74. Dr. Karlic has been a guest lecturer at the Glen Cove Podiatric Conference in 2009 and 2011, the Science and Pearls Conference in 2011, and New York Hospital of Queens Podiatric Medical Education Night in 2012. She is a member of the American Podiatric Medical Assoc. and the American College of Foot and Ankle Surgeons. She received two APMA scholarships (2005, 2006) and was “Who’s Who Among Students in American Universities and Colleges” in 2006. Currently, Dr. Karlic is vice president of her alumni association, surgery instructor to the sophomore surgery I class on wound and tendon healing, and surgery instructor to the junior surgery rotation. When did you first decide to become a podiatrist? Why? I first decided to become a podiatrist during my year off after graduating Cornell University. I was working as a medical assistant and I became fascinated with the diversity of this field of medicine. The ability to help patients instantaneously is the spark that ignited my attraction and love for this field. How/why did you choose the podiatric medicine school you went to? The New York College of Podiatric Medicine was at the top of my list for two reasons. First, I loved the fact that it is located in New York. New York is where I am originally from and I loved being in the heart of a city with so much to offer. Second, the clinical experience that students receive at this school is unparalleled. The population in this area offers a gamut of podiatric pathology that cannot be seen anywhere else. What surprised you the most about podiatric medicine school? What surprised me most about podiatric medicine school is the camaraderie amongst the students. Everyone was invested in promoting the podiatric field and helping each other succeed. Podiatry is a tight-knit field in which we all seem to work together and its roots develop early on in school. Without hesitation, I would do this all over again. Podiatry has been extremely rewarding and I have never regretted my choice in my career. Has being a podiatrist met your expectations? Why? Being a podiatrist has met my expectations because it is a very gratifying field. It has allowed me to influence many lives and continues to intrigue me. What do you like most about being a podiatrist? I love the interaction I have with my patients and the diverse people I meet every day while working. What do you like least about being a podiatrist? The thing I least like about being a podiatrist is seeing how much a patient’s life is altered when there is foot pathology. Unfortunately, when you have a problem with your lower extremity, your whole life is affected because you are unable to perform your daily activities like walking or driving. I don’t think there is a better feeling than completing your education and being able to start practicing in the field you love. I am currently working at the New York College of Podiatric Medicine and it is an amazing and rewarding experience. It allows me to constantly better myself and give back to the career that I cherish. There are many options to choose from when looking for a position in this field; opening your own private practice or joining an established one; educating students to become successful podiatrists; working in a wound care center or visiting home-bound patients. The possibilities are endless. When I work in private office, I have days where I start early, others where I end late and Saturday hours to accommodate my patients’ busy weekday schedules. Typically, an appointment lasts about 15 minutes. At the New York College of Podiatric Medicine, my day is spent seeing patients, performing surgery, and working on lectures and activities for students. I work about 45 hours per week doing patient related work. I also spend time preparing lectures and doing other podiatric related activities. I sleep about six to seven hours per night and I take about two weeks of vacation per year. I did take out loans, and I am able to pay my educational loans back. I would tell myself to do exactly what I have done, because as long as you are doing what you love, life has a way of working out. What information/advice do you wish you had known when you were beginning podiatric medicine school? I wish when I started New York College of Podiatric Medicine, someone would have told me to stay focused, learn from as many different doctors as possible, and to join as many activities as possible to be able to network and see what the profession really has to offer. The biggest problem in healthcare today is having a third party dictate what you can and cannot do when it comes to treating your patients. Where do you see podiatry in 10 years? I think there is no limit to where podiatry can go. As the years progress, there will continually be advances in the technology used during podiatric surgery and patient care. This field offers exciting opportunities to learn and grow and give the proper care to an increasing aging population. I think that it is very important to give back to your profession. Podiatry offers many opportunities to give back. I have volunteered at many marathons to provide podiatric care to the participants. I have also volunteered my time to participate in workshops to help educate the residents and students in this field. I love to read and cook. I am always interested in trying new recipes and cooking a variety of cuisines. Do you have any family, and if so, do you have enough time to spend with them? How do you balance work and life? I have a family and have never felt as though my podiatry career hinders the quality time I spend with my family. Podiatry allows you to balance your career and family. Do you have any final piece of advice for students interested in pursuing podiatric medicine as a career? I think the most important thing is to make sure you really find out what this field has to offer prior to making your decision. I recommend shadowing a podiatrist because you will be amazed to discover the vast spectrum of this field. You never want to make a decision about your future without researching it first. Once that is done, you will certainly live the dream. I'm always happy to see articles about the diversity of medicine and the many different paths you can take. Dr. Karlic clearly loves what she does, and it sounds like her patients truly appreciate her work. What more could you ask for in a career?